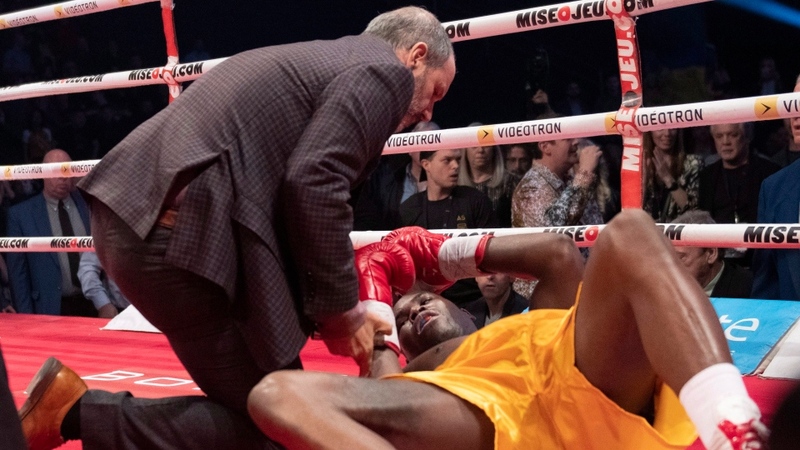 Montreal boxer Adonis Stevenson's condition has been elevated to stable, as he remains in intensive care following a fight on Saturday night in Quebec City. Stevenson was rushed to hospital after getting knocked out. He was initially in critical condition, suffering from symptoms of a severe concussion. On Monday afternoon, the hospital confirmed his status has been upgraded to stable, but he remains sedated. Late Saturday, boxing promoter Yvon Michel said he'd spoken to the boxer immediately after the match and he appeared to be regaining his spirits. However, Stevenson's condition worsened after leaving the shower, and he was taken to the l'Enfant-Jesus de Quebec hospital, which specializes in neurosurgery and head trauma. A person who was present in the dressing room, who did want wish to be named, said Stevenson could no longer stand at the time the decision was taken. In a press conference late Saturday, Michel said Stevenson seemed disoriented and confused when he arrived at the hospital. "We fear a concussion," he said. 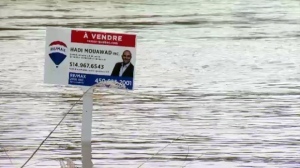 "This is very worrying." Stevenson was placed on observation for six hours but his conditioned degraded to the point he was placed in a coma to relieve pressure on his brain. Oleksandr Gvozdyk stopped Stevenson at 2:49 of the 11th round to take his World Boxing Council light heavyweight title. The 31-year-old Gvozdyk, from the Ukraine, improved to 16-0. The Montreal-based fighter was making his 10th title defence since winning the belt against Chad Dawson in 2013 and was ahead on two of the judges' cards and tied on the third when he was stopped. Boxing historian Lou Eisen said that even before the final punch, Stevenson was flagging. "You can see throughout the fight that Adonis was exhausted," he said. "He didn't really have much left. That first long jab that hurt him before Gvodzyk landed the final five or six punches would have been enough to stop it." Stevenson has held the light heavyweight title since 2013. It's not the first tragic incident in recent Canadian fighting history. Last year, MMA fighter Tim Hague suffered a brain hemorrhage after being knocked out during a bout in Edmonton. On Sunday, boxers training at Verdun's Angry Monkey Gym said the risk is part of the sport. "You see something like that, it's only normal to kind of step away from it," said boxer Jerrid Allan. "I'm well aware of the risks. It's a contact sport, people get hit. I know the risk of getting knocked out, going to the hospital." Coach Conny Reyees said serious injuries like Stevenson's can detract from safety measures that have been put in place in recent years. "Before, in the amateurs, they took the headgear off," she said. "Thank God, they brought it back in, because there's so many injuries that can happen during training camps, during fights." Boxing journalist and broadcaster Corey Erdman said he hopes the incident can spark change in the way boxers are medically analyzed during fights. "I think there needs to be pressure from fans for increased empathy for fighters and increased safety for fighters," he said. "Not just saying 'abolish the sport,' then we can get momentum in the right direction."